The only text in English that details, step-by-step, the Beaux-Arts system of architectural education. 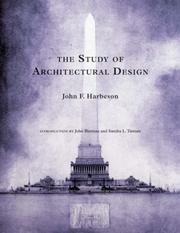 With the reissue of this long-out-of-print book, the architecture student or practitioner of classical design can reconstruct the course of study used to train every architect in America until the late 1940s, from the making of the initial sketch to the rendering of the project for presentation, for use in practice today. 386 illustrations.